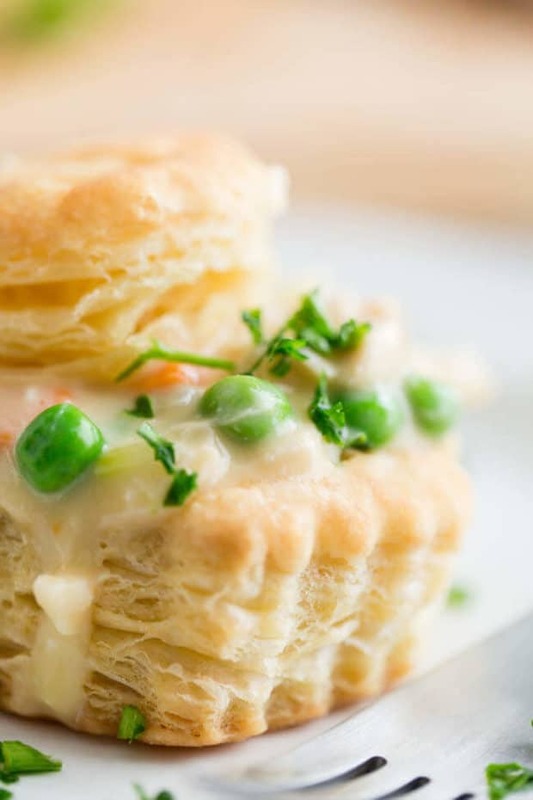 This fun twist on a favorite classic creates individual portions of chicken pot pie that are creamy and tasty... plus easy to make! 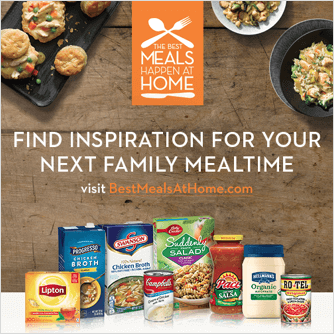 Ever feel like you’re stuck in a meal rut? We’ve been so busy lately that I haven’t had much time to get creative in the kitchen. I’m proud to partner with Mirum to bring you this delicious and easy dinner idea. I love experimenting with flavors and trying new recipes. I also love updating classic dinners to put a new spin on them. 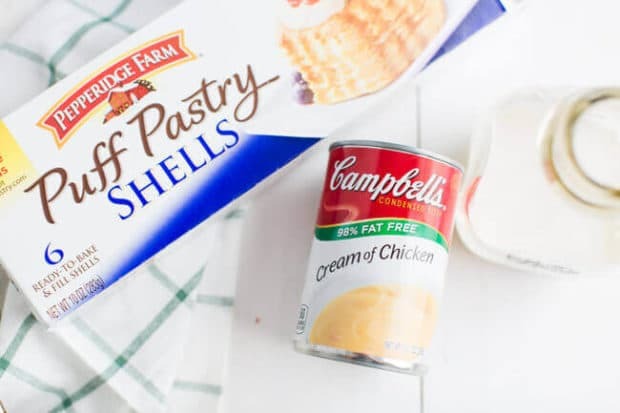 This week, I’m finding inspiration for delicious meals at home with help from Knorr® and Hellmann’s® at Publix. 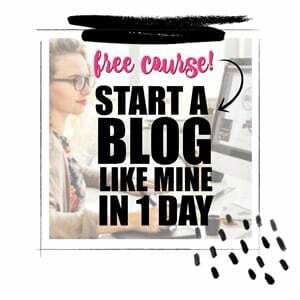 They’ve got some great deals happening now plus some yummy recipes that have got me excited. 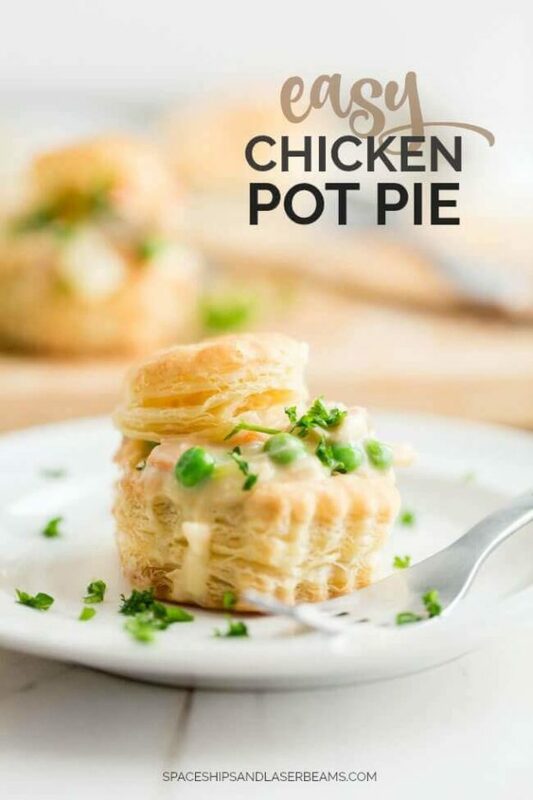 I’m loving this unique twist on a family favorite: chicken pot pie. 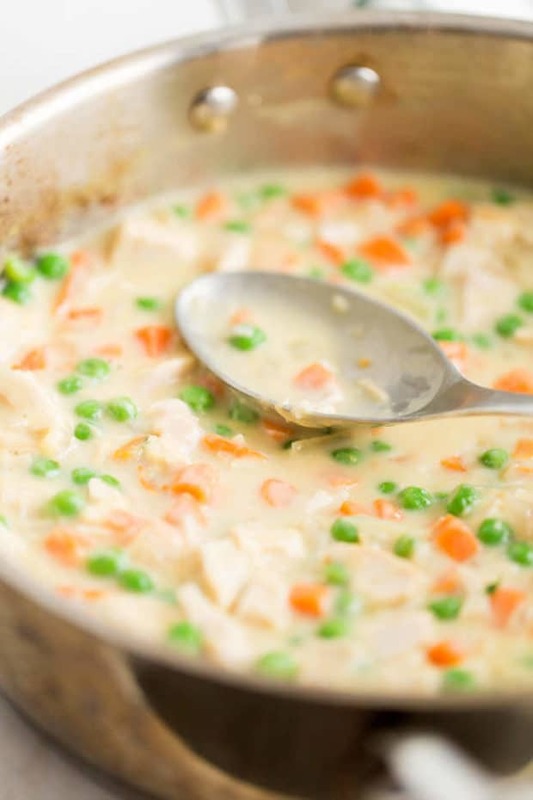 Really, I think any recipe that includes cream of chicken soup is going to be delicious. I also used a rotisserie chicken, which was a huge time saver for me. The entire meal made it to the table in less than 30 minutes from start to finish. And it wasn’t devoured even quicker because it’s oh so good! All my guys loved it — there were seconds and thirds happening at our table. It’s hearty and boasts delicious flavors that will have everyone coming back for more. While it’s so simple to put together, it doesn’t look like it. I’m definitely tucking it away as a last minute guest dinner option for the future! 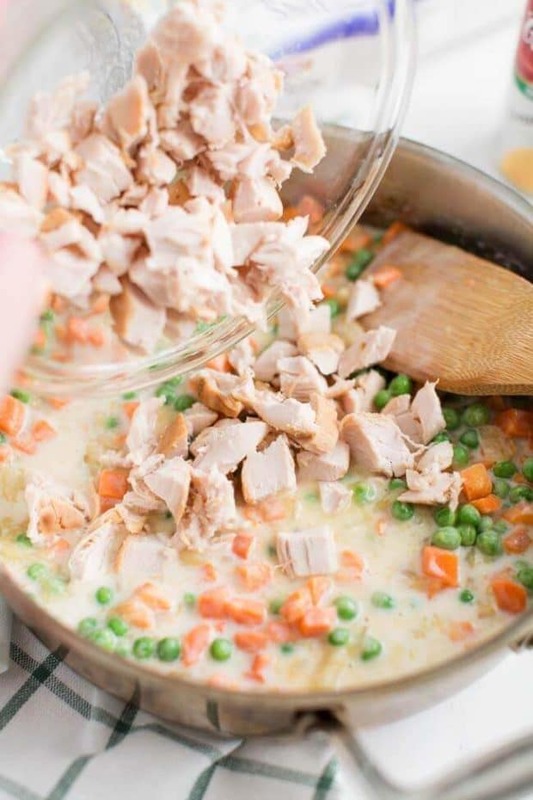 I know your family will love this yummy chicken pot pie recipe as much as mine does! 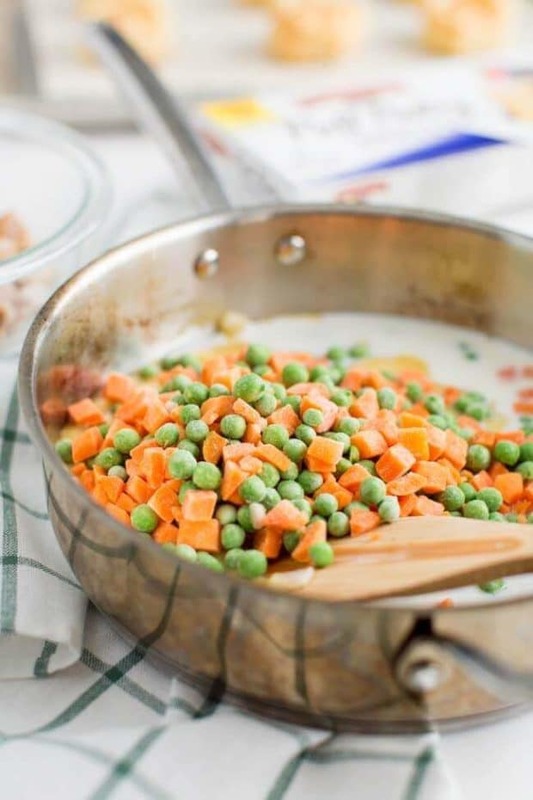 Stir the soup, milk and peas and carrots in the skillet and heat to a boil. Reduce the heat to low. Cover and cook for 5 minutes or until the vegetables are tender. Add the chicken and cook until the mixture is hot and bubbling. 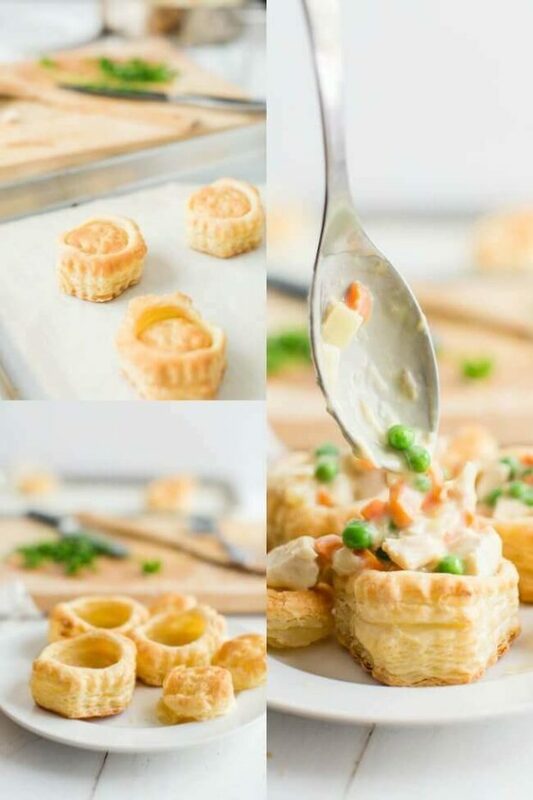 Spoon the chicken mixture into the pastry shells. Top with the pastry tops, if desired. 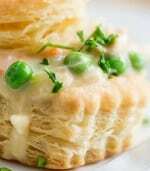 If you are a chicken pot pie fan, you have to try this recipe. It is amazing! Love it, so delicious and healthy.